Bought and read in over 100 countries, Yachting World brings you everything you need to know about this exhilarating activity and also touches on the world of super yachting. 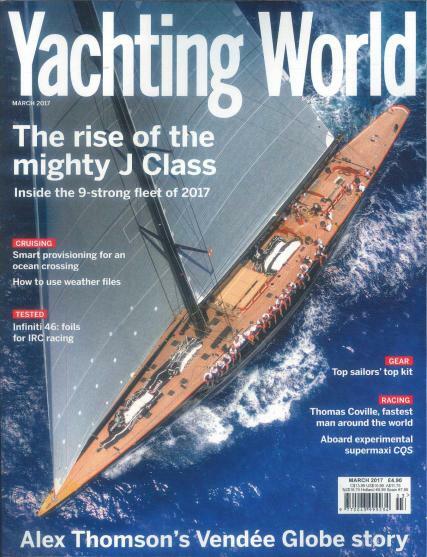 When it comes to preparing for life at sea, every sailor’s first mate should come in the form of a Yachting World magazine subscription. Renowned internationally as the leading authority on yachting, Yachting World advises on new equipment, boats, showcases the best events as well as providing practical advice for seaman. Boasting stunning photography, Yachting World is the place to find coverage of international regattas and round the world races. Its beautiful visuals are matched with superior nautical journalism, reporting on the latest sailing news, up-to-the-minute technical reports, new boat tests and advice on sailing technique. In addition, Yachting World magazine’s popular Great Seamanship series delves into yachtsmen’s own exciting experiences allowing you to be inspired by first-hand epic sailing stories.